Today I learned that mankind is incredible. “Human-Centered Design,” a process coined by IDEO, takes into account the needs of the human at all points of the design process. This is a great approach in comparison to the oh-so-common “cubicle designer” that creates objects without considering the user. I was thinking about “Human-Centered Design” today while I was on the toilet. Lucky enough, I looked to my right only to stumble upon an epiphany. 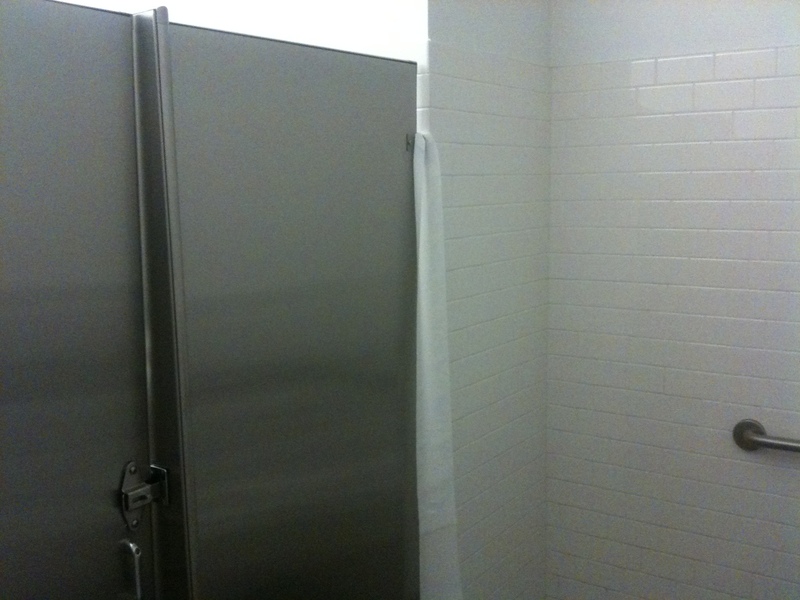 The bathroom stall I frequent is extremely awkward due to the lack of privacy the large, 3-inch, gap between the wall and the door consists of. Every morning and late afternoon, I walk into the bathroom and stumble upon the same thing. 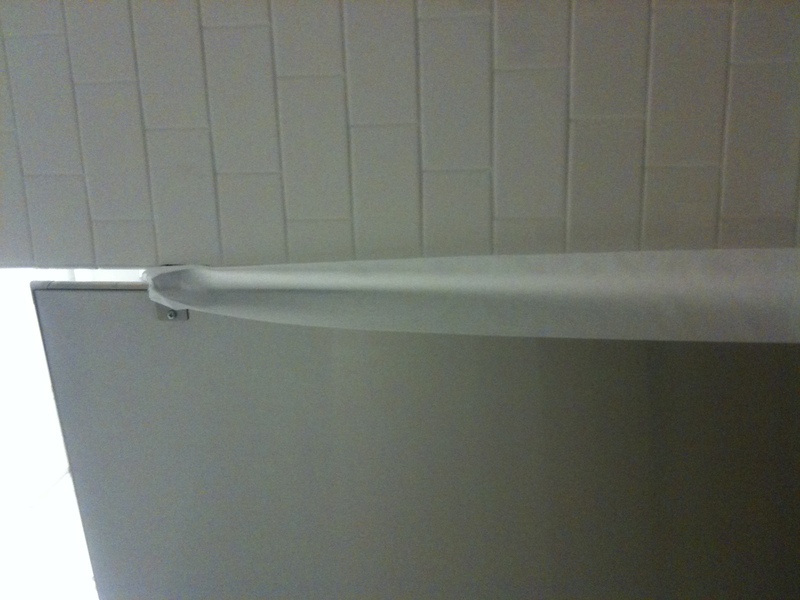 A make-shift gap-filler that is made out of a long piece of toilet paper tied to the top of the stall. Every morning I enter, and this piece of Human-Crafted Design has been taken down (by the janitors), but by mid afternoon, BAM, there it is again. I hypothesize that it is not replaced every afternoon by the same frequenter of this particular potty but instead by multiple “humans.” This proves that we are all born with the ability to understand our own needs as well as the needs of others, and are more than capable of improvising a design artifact to accommodate the issue at hand. I think as designers we should consider not only designing for humans, but instead attempt to design with humans. Inspiration can come from a lot of places, and very often it is not within the walls of a design studio. Instead, perhaps, it can be found in the stall of a bathroom. Fictional Entrepreneurship (Business Design Fiction) takes what is expected of the future, and turns it on it’s head in order to change the ways in which we understand the world, and the way we understand the future of business design. Fictional Entrepreneurship is a method of story-telling through imagining new business and a tool to help imagine new innovations within the business industry in order to craft the culture of the future, or critique the culture of the present. The design of fictional business can accomplish more than the design or growth of any non-fictional business. Business is an industry that is extremely limited by practicality due to the interest of investors, demographics, and financial matters. The desire for efficiency and viability is a hindrance on the creativity of an entrepreneur, and the ability for an entrepreneur to define our future. Fictional Entrepreneurship, on the other hand, requires no investment of money, only the investment of imagination. Fictional Entrepreneurship not only has the ability to imagine what future businesses might look like, or be capable of through their products, but also has the ability to define what our future culture is, and, even more so, the future of our world.